This grand two-story Victorian Mansion was built circa 1900 by Julius Otto as his private home. Today the structure stands proud in the center of the Key West Historical District known as Old Town. It boasts verandas and porches with hand-milled spindles and gingerbread trim. The wallpapers and fabrics were carefully selected to compliment the original character of the Otto Mansion. After the labored restoration in 1990, receiving the prestigious "Excellence Award for Preservation" by the Florida Keys Preservation Board, we opened the doors to the mansion as a guest residence. Each one of the eight guest rooms tastefully combines the elegance of the past through a careful blend of antiques and tropical furnishings, with the comfort of modern conveniences. 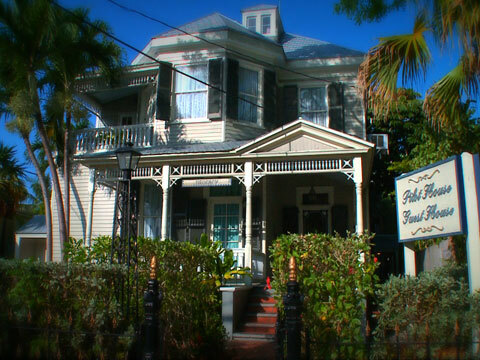 The Pilot House Guest House is just a short walk to the world renowned Duval Street. Pilot House Guest House. We're looking forward to your visit!